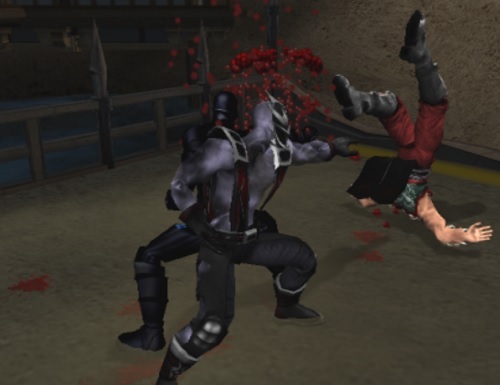 The Power Of The Punch! 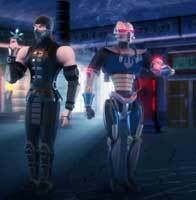 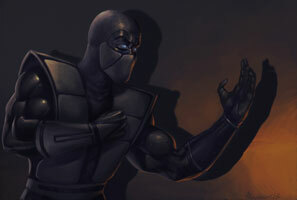 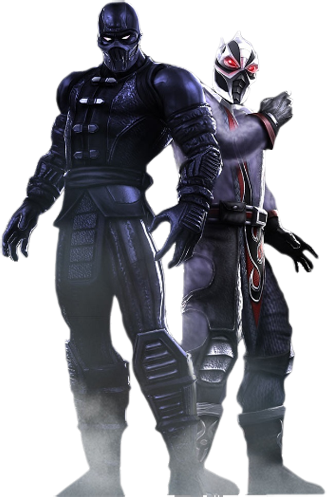 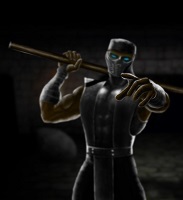 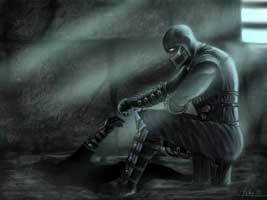 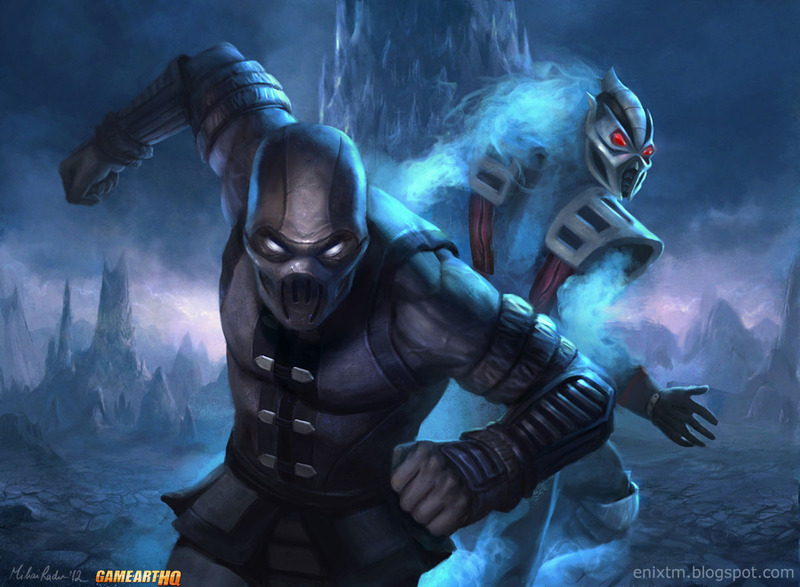 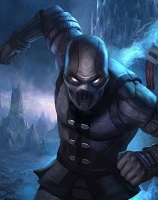 For the first and so far only time, Noob Saibot teamed up with another Mortal Kombat character, the former Link Kuei Ninja Smoke to form the Brotherhood of Shadows in the Netherrealm with the goal to invade the other realms by himself instead of working for Quan Chi, Shao Kahn or Onaga. 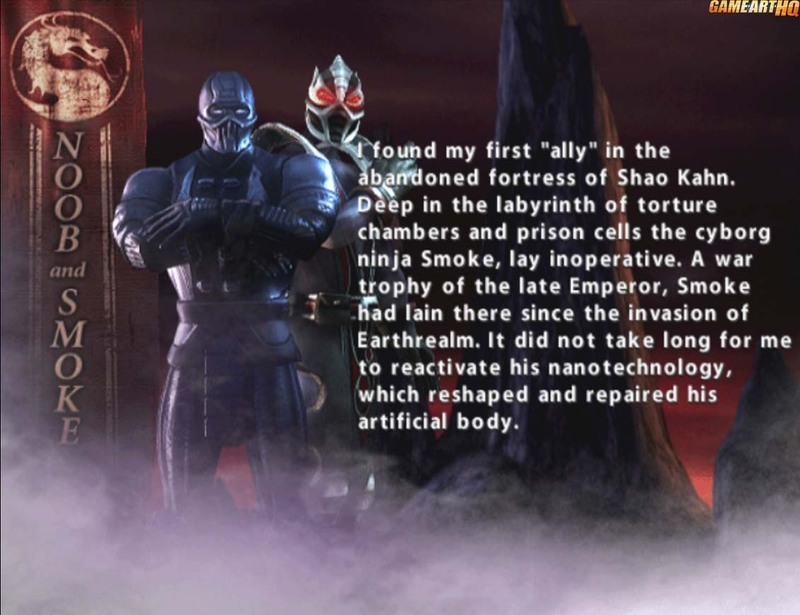 While other Mortal Kombat Deception characters had 2 fist to fist movesets and a set with the use of a weapon + 2-4 special moves, Noob-Smoke is a tag team with only two movesets but also two special move sets. 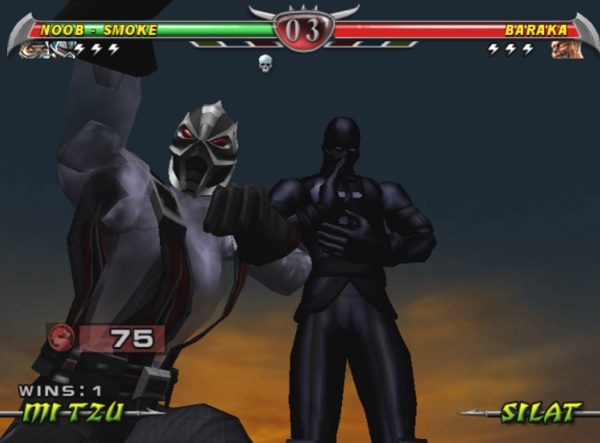 Noob-Smoke is also the mid-boss in the arcade mode of the game before the Dragon King Onaga.